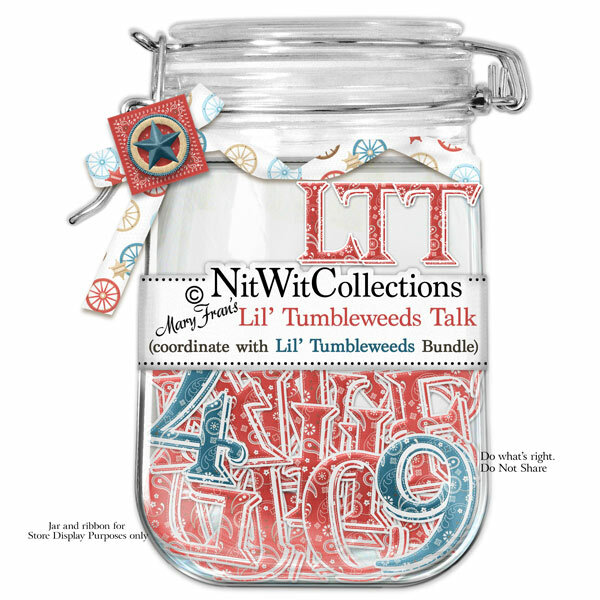 "Lil' Tumbleweeds" Talk will let you have your say with this digital alpha. Always take your chance to let 'em know what you think!! This Alpha coordinates with our FQB "Lil' Tumbleweeds" Collection. 1 AlphaWit set of uppercase letters, &, apostrophe, bracket, exclamation mark, question mark and set of numbers (0 to 9). Letters and punctuation are in a red bandana pattern and numbers are in a blue bandana pattern.